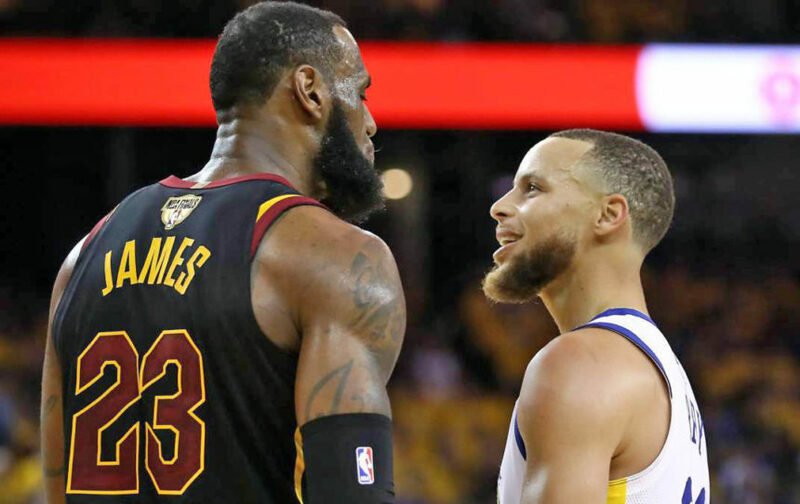 Round four of the Golden State Warriors and Cleveland Cavaliers ended in less dramatic fashion than usual with a blowout game four win, but the road to the win was full of tension and surprises. The game one showdown ended in an unprecedented form with J.R. Smith pulling off one of the biggest errors in NBA Finals history of late. Smith recovered the rebound with 4.5 seconds left in regulation and instead of shooting for the win decided to dribble to halfcourt sending the game into overtime and ultimately causing the Cav’s to lose game one. Game one also saw another first with LeBron James scoring a playoff career high 51 points and becoming the first player to score over 50 points and lose a playoff game. He is the sixth player to score over 50 points in the playoffs, the last being Michael Jordan with 55 points in 1993. Game two was less dramatic and the Cav’s lost by double digits. Stephen Curry, who finished with 33 points, set a NBA Finals record hitting nine three pointers. Game three featured a stunning performance by Finals MVP Kevin Durant who posted 43 points, 13 rebounds, and 7 assists. The final nail in the coffin for the Cav’s was a 108-85 game four loss. This marked the third championship for the Warriors in four years. The question now that remains is will LeBron be in Cleveland next season? Will he stick to his hometown team and finish his career there as he said he would, or will he become the biggest villain of the NBA again and chase another ring? If he stays major changes will need to occur for the Cav’s to become successful and not struggle against a star less Boston Celtics team. His decision will come in time, but he may be swayed to stay based off who the Cav’s select with the number nine pick in the draft and who they are able to sign in the off-season. Regardless of his decision the Cav’s have much to fix to not just reach the finals again, but to win it.